no wind through the pine trees everything still. that fell over seasons before this tale begins. we stop for a moment to sample a few. a stairway to heaven, the sun hits my eye. and feel blessed to bear witness to all this alone. the rewards being far more than the place that we find. and when we emerge I let down my ruck sack. we pick off some nice leaves and eat two or three. yet half shaggy sheared sheep seem surprisingly lean. so often by hikers with mutual respect. but lets continue upwards for the views sake. the ferns purple blossom is a treat for our eyes. the lake to our right a glimpse now we sneak. and sit out upon my most favourite rock. my beautiful kingdom known as Waterford. we have some more climbing to tame this wild hill. before meeting a grassy hill once again. 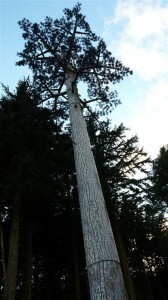 of the 40 foot vertical last climbing phase. and zig and zag up on these stony like shelfs. as I stand on the plateaou of wild comeragh peat. boggy and soggy, springy and dark. 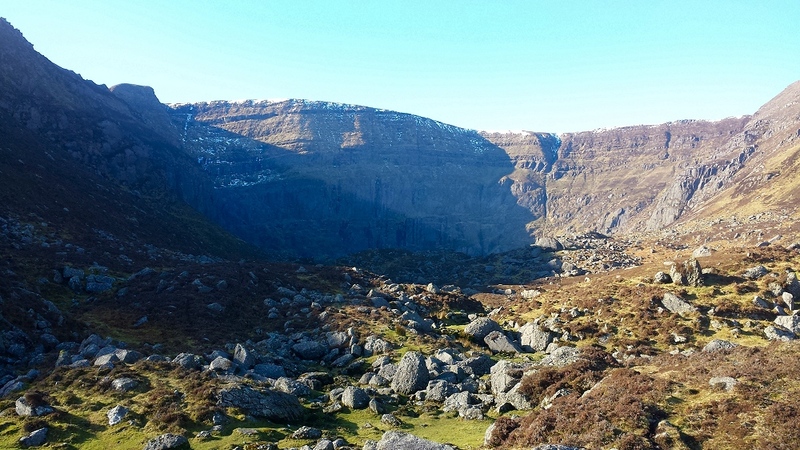 the jewel of the comeraghs, the great Coumshingaun. swoop and dive past me making loud whirring noise. but just as the sun is we too must descend. one slip and it’s over for you or for me. so lets savour the view on the way while it lasts. to make our descent safe and less steep. in front of the cliff top from where we’ve just been. reflecting the back cliffs ominous mass. and trout are jumping their fill they will take. there’s nothing quite like a freshwater swim. but you can just drink it down if you get in your mouth. well just head straight down after we’ve swam. which look so much different under these fading lights. yet in reality it’s still fairly bright. perhaps now you can see why it’s close to my heart. This entry was posted in Beautiful Waterford on March 26, 2016 by Cian Foley. I’ve been thinking about Waterford a lot of late and our offering to tourists both national and international, and also our job situation and the fact that so much is being pilfered and taken from us and I think that we need to go back to basics… what is it that makes Waterford unique and special, and what can we build on that they can never take away. We’re lucky to still have the glass, but unfortunately, this just brings in daytrippers, who spend plenty of money in the glass but not around the city before they head off to kiss the blarney stone. We had a scare recently and the glass could be moved from Waterford and we know Kilmeaden cheddar is made elsewhere now for example. Other t hings that have been taken or at least part set up elsewhere, however, the most disastrous one was losing our city status, which was blessed and passed by many of our then elected Councillors (many didn’t get re-elected but have any lessons been learned?). They promised we would still be a city, that nothing would change but we don’t have a city mayor anymore (we have some metropolitan hybrid) and in the local Governments act we can simply call ourselves a city (or pretend we still are). Anyone with Waterford blood coursing through their veins should see that act for what it was and never forgive it until it is completely reversed. So what can’t they take and can we build on this? I think so? – Town offerings: great restaurants and pubs in coastal villages, jack meades, spinnaker, the vic etc. – Megalithic history: dolmens like gaulstown, knockeen etc. – Playgrounds such as people’s park, fenor bog etc. – Dungargvan and it’s countless pubs, restarurants, history, mannicured parks etc. So many amazing spots, enough to fill 2 weeks for any tourist and I’m just chucking this out from the top of my head. When I was with my wife first we used to love exploring together, now we do it with the kids… yeah we were limited for a few years but as they grow they take on more and more of these experiences and we get pleasure showing them, and a blaa with saussies and red sauce on the side of the road never goes astray. So, the bottom line is this. They can’t take these things from us, lets build on it, sing it from the rooftops more and show people how brilliant Waterford really is. If they use Waterford city and Dungarvan and the other towns and villages as bases money will be spent etc. 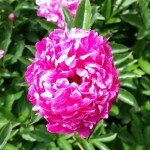 which will create sustainable jobs as the word spreads about it. We’ve undersold these assets in the past, nobody else can claim them, but their beauty can claim hearts. That’s what we should be targetting. 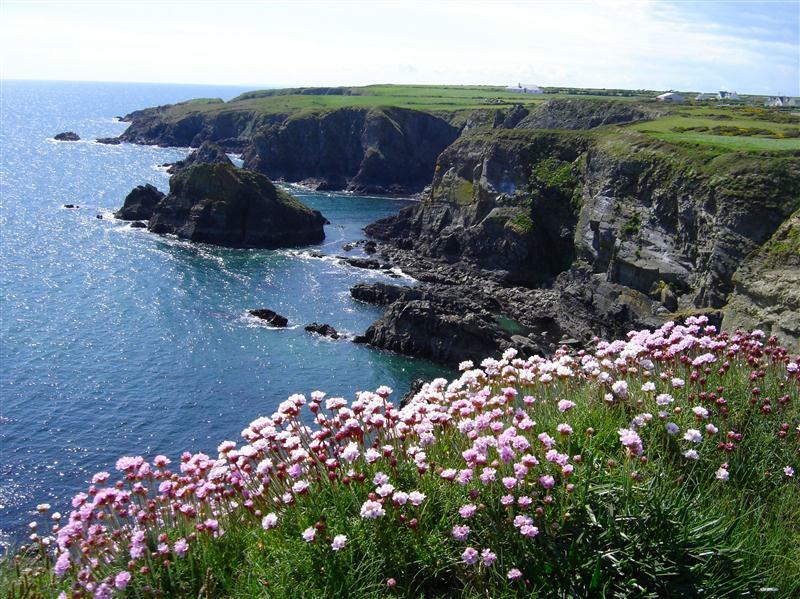 This entry was posted in Beautiful Waterford, Nothing much ado about Websites on July 9, 2015 by Cian Foley. 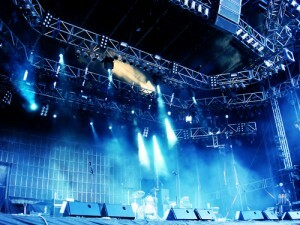 Entertainment Venue for Waterford North Quays? I love the fact that something is being done about the North Quays and the fact that the council have gotten it to a stage where it can be pushed forward. Even it’s demolition will be an improvement as it is an eyesore, though most of our brains just ignore it at this point. Tourists see it very clearly though when they visit and it is ugly to them so anything would be an improvement. I think it’s a pity that even one of the buildings has to be kept for historic reasons. I love the bridge. Perhaps it could be covered all the way across, like the corridor from the car park to the terminals in Dublin Airport as it can get very windy. This would be nice for people who get the train here and want to walk to the city centre. I’m not sure about more offices in the city as we can’t fill the ones we already have… I would much prefer to see something that would push Waterford forward as the capital of the region like an entertainment arena/conference centre. I would like to see huge acts come to perform here, like they do at the Glenn Eagle in Killarney or the Odyssey in Belfast. The Forum wasn’t big enough for huge acts to come here, and there’s nothing really like that in the region so it would really add to the cool factor of Waterford if we built something that could hold 3K+ people for big events. Something like that can be a success with the right marketing and given the site is at the end of the motorway, and train station it is really convenient. It would bring a huge amount of money to the city as people exiting gigs visit our pubs, restaurants, hotels etc. The North Quays also bake in the sun in the summer, so it would be nice if it became an entertainment centre with some nice restaurants, cafes, maybe a bar etc. A cool place to hang out for adults and families with a fantastic view of our city’s quays. It could be lit up at night calling out to the people of the city to come visit, just as the city would call to people who exit the venue after a gig has finished. I’d consider moving the bus depot there too, especially if the bridge is covered and make it a hive of activity for people traveling to and from Waterford. We need to think a lot bigger here in Waterford. If we build it they will come! I saw a report last night from Waterford Weather’s facebook page (give them a like) about a possible rare view of the Aurora Borealis as far south as Waterford. 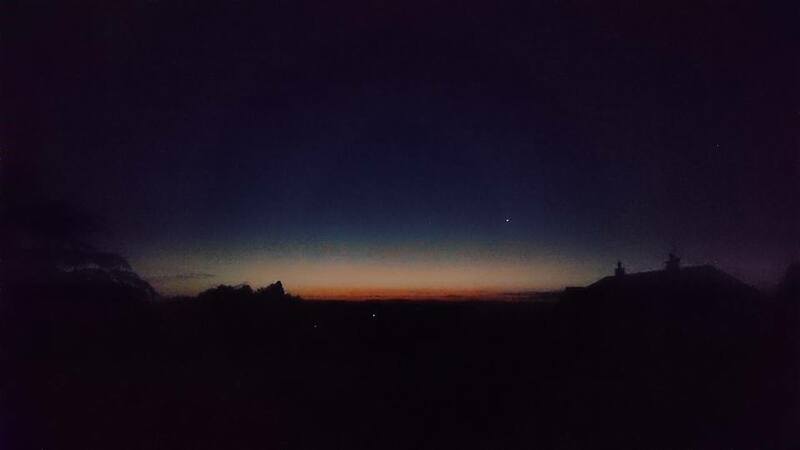 It was about 12.30am last night so I went outside for a look and it looked like there was a sunset happening to the North! I know it’s North because the sun sets in the direction of the Comeragh Mountains. It wasn’t the city lights because I am in Orchardstown and that is well to the East. I installed an app on my phone to find due North and looked in that direction towards the sky to make sure I wasn’t going crazy. 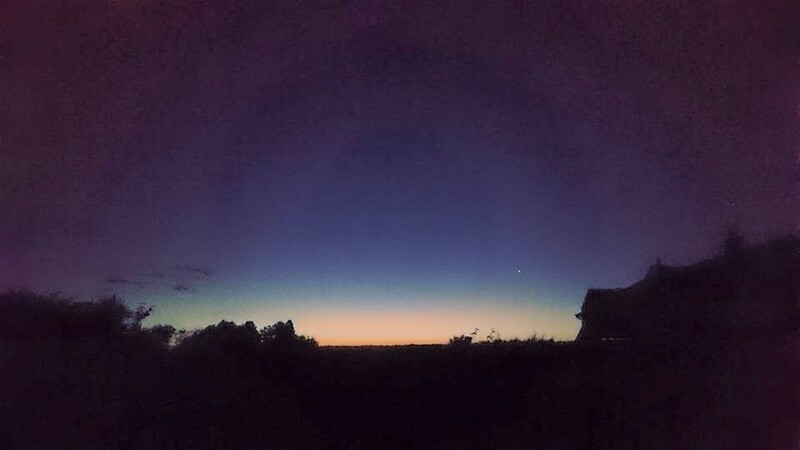 There was definitely a green haze to the ‘sunset’ so I took a couple of photos with my phone so apologies for the quality. It wasn’t flickering like you’d see in the movies but you could clearly see the green haze as it was such a clear night. This entry was posted in Beautiful Waterford, Nothing much ado about Websites and tagged aurora borealis, northern lights, waterford on June 23, 2015 by Cian Foley. Why not spend Christmas in Waterford this year? Waterford City is the place to be this Christmas where Ireland first Christmas Festival, Winterval, is taking place between November 21st and December 24th. 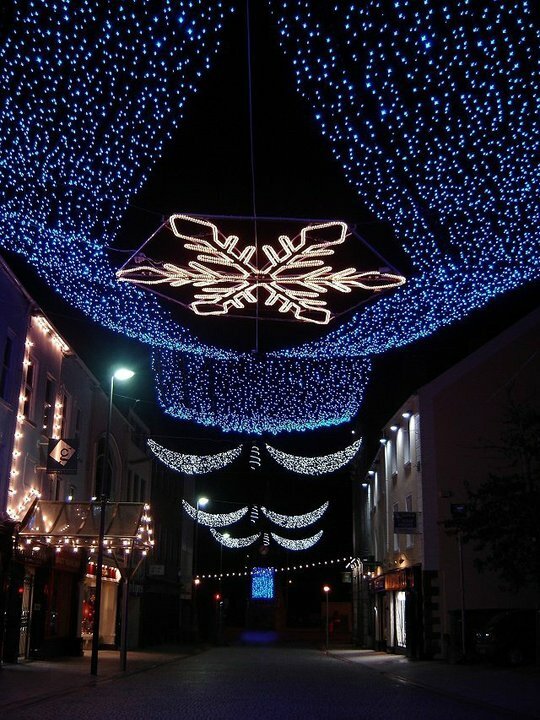 Here are 40 things that you can do in Waterford during the Christmas season! 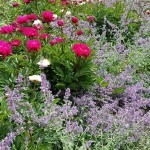 Come visit and you will be amazed at what we have to offer! The City will provide a fantasy wonderland for kids of all ages from 1 to 101 and there is no better way of getting into the christmas spirit! Visit Central Arts. Little Elves Puppet Making Workshops. Let your child’s imagination run riot, where they will get the opportunity to make Christmas themed puppets. Call into the Municipal Gallery. The “Eye of a Child” – is your child a Michaelangelo in the making? Get them to colour in, create and exhibit their own version of one of our famous artworks and bring it home. 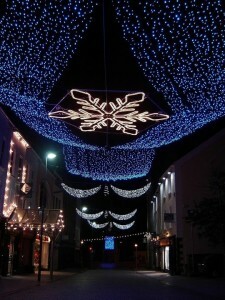 So you see we have everything covered for you this Christmas in Waterford. With the special seasonal spirit that can only be found in Waterford, shopping, restaurants, cafes and pubs all in the City centre, Waterford is the place to be this winter! Fun for all the family, go on, you know you want to! See you in Waterford Ho Ho Ho! 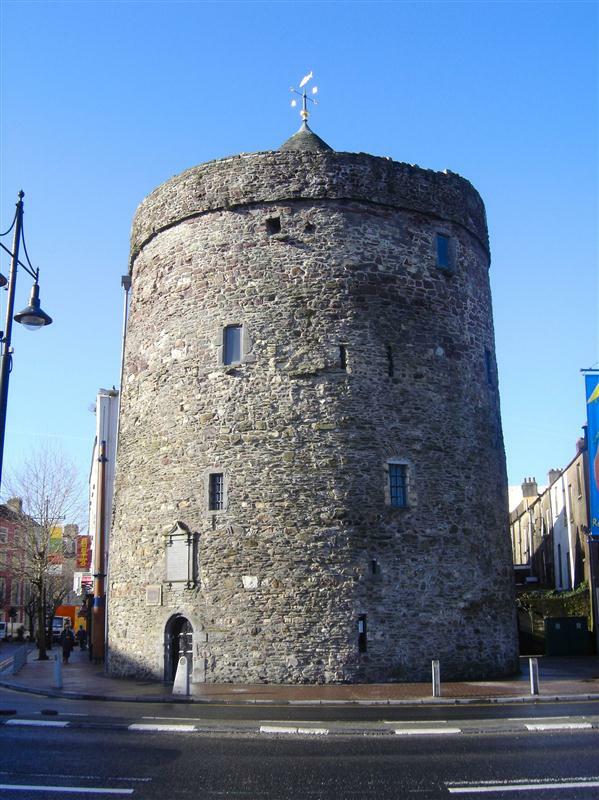 This entry was posted in Beautiful Waterford, Nothing much ado about Websites on November 17, 2014 by Cian Foley. Ah yes, the Comeragh mountains, those wondrous mountains that provide a natural border between our wonderful Tipperary neighbours and us occupants of the Gentle County. A playground for both adult and child alike, with lakes abounding and scenes astounding. Coumshingaun Lough, Comeragh Mountains, Co. Waterford. 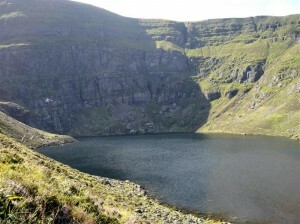 I spend a lot of time up there myself, especially at the lough called Coumshingaun (pronounced Come Shing Awn), the magical lake nestled on the East side of the range. Why? because a) it keeps me fit, b) it is beautiful, serene and untouched c) it is very calming, d) I can swim there (for a few months of the year at least). 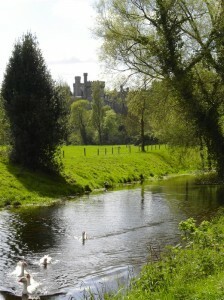 Add a sunny day, and a pint of bulmers and you couldn’t imagine a more heavenly retreat. 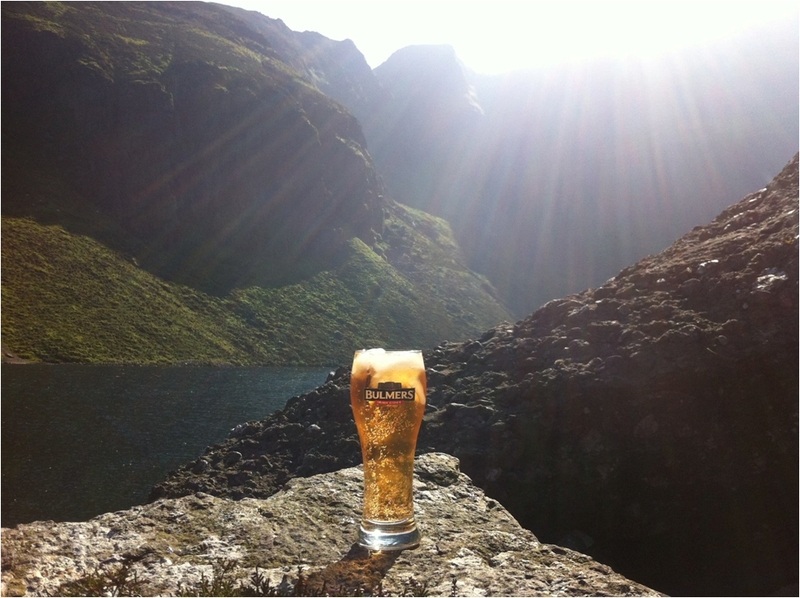 I posted a pic a couple of years ago of a Bulmers in a glass with ice, with the backdrop of the cliffs of Coumshingaun and it went wild on facebook, shared by Bulmers too. I enjoyed every drop of that beverage and have had many more up there since. I fact, I often leave a few hidden around up there so that I don’t have to carry them up each time. Bulmers in the Comeragh Mountains. Heaven. This year has been epic in terms of the weather so I’ve been up there more often than not. The other day I was swimming in the lake and I stood on something strange in the lake. I dived to see what it was, it was a bottle. I brought it to the shore to bring down as rubbish and only when I got it in did I realise that it was actually a very old bottle of Magners. I thought that Bulmers was always Bulmers in Ireland and that it’s exported name was Magners because of Bulmers in the UK, but it turns out that Magners was made in Clonmel since the 1930s and Bulmers bought shares in the company before the second world war and the reason it became Bulmers in Ireland was to piggy back the Bulmers branding in the UK as we received UK channels to our TVs here in Ireland. 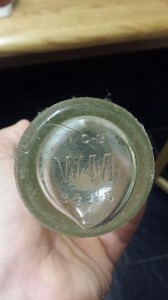 So it turns out that the bottle I found is probably from the period of 1935 to 1946, which is pretty cool. What is even cooler is that the tradition of drinking a bottle of cider manufactured across the mountains in Clonmel has been going on for well over 60 years. I guess it was fate that this bottle found me. 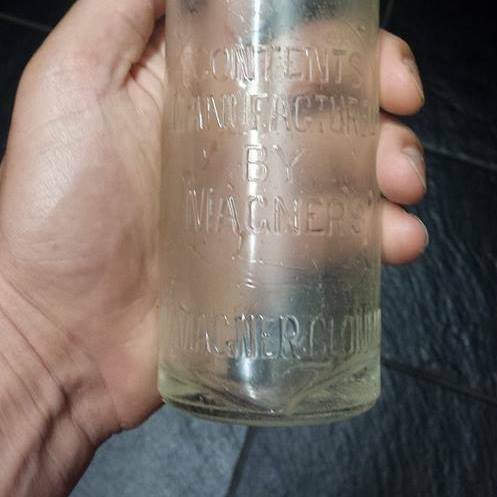 If anyone has any further information about this bottle, please email cian@utdwebdesign.com as I’d love to hear from you. This entry was posted in Beautiful Waterford on July 28, 2014 by Cian Foley. Waterford is a fantastic county in South East Ireland with an amazing history, spectacular scenery, and a unique culture. Waterford’s history spans many thousands of years, Waterford City being Ireland’s oldest city and Old Parish near the beautiful Ardmore being the oldest Christian parish in the country, pre-dating even St. Patrick. 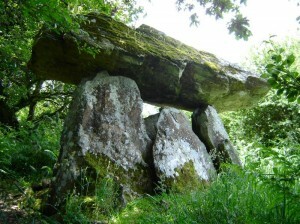 There are Castles, Historic Buildings, Dolmens, and Ogham stones dotted around the county also. Some historic characters of note are: TF Meagher, one of the nine fine Irishmen, who conceived and first raised the Irish flag in Waterford; Robert Boyle, internationally known as the father of chemistry; Luke Wadding, who set up St. Patrick’s day as a feast day; and Edmund Rice, founder of the Christian Brothers. There are simply too many to mention here. Waterford also boasts some spectacular scenery such as: the world class Corrie lakes in the Comeragh mountains (Coumshingaun and Crotty’s lake); the Towers loop walk in Ballysaggartmore (a totally magical experience); 40+ beaches on its 70 mile, geologically unique, copper coast line; and some amazing walks through woods and marshes. It has to be experienced to be believed! Finally, it has a unique culture where people are always up for a bit of craic (joking about). They speak their own language, as is evident by the slang in this book. 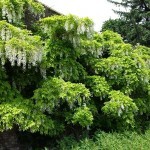 It also boasts a unique cuisine in the form of Blaas, Goody, Dilisk and Crubeens for example. All in all, Waterford is an amazing place to live and the quality of life here is just fantastic boy. Old Parish near Ardmore is Ireland’s oldest Christian parish, dating back to before St. Patrick’s time. It is located near Ardmore, which is the site of a beautiful round tower in a magnificent setting with breathtaking coastal views. The Irish Flag was flown for the very first time in Waterford City on the 7th of March 1848 at 33 the Mall and was conceived by Waterford and Irish legend, TF Meagher. The phrase By Hook or By Crooke originated here from the place names Hook and Crooke when Cromwell vowed that his armies would take Waterford ‘by Hook or by Crooke‘. He never did. ETS Walton was the first man to split the atom and the only Irish man to win the Nobel Prize for Science! 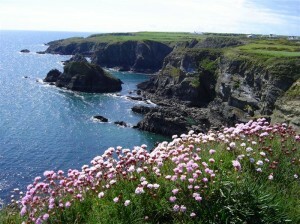 Waterford has approximately 40 beautiful beaches dotted along its beautiful copper coast. The copper coast is geologically unique, with spectacular views and points of interest such as the pipes of baidhb and the old copper mines. William Vincent Wallace probably the greatest opera composer and organist the country has ever produced (his works include, Maritana, the opera). It is one of only 5 counties in Ireland with a Gaeltacht, An Rinn or Ring, with around 1000 native Irish speakers. It is a very beautiful part of the county. There are some impressive remains of monasteries in the City, once called “Little Rome” due to the sheer number of churches and monasteries etc. 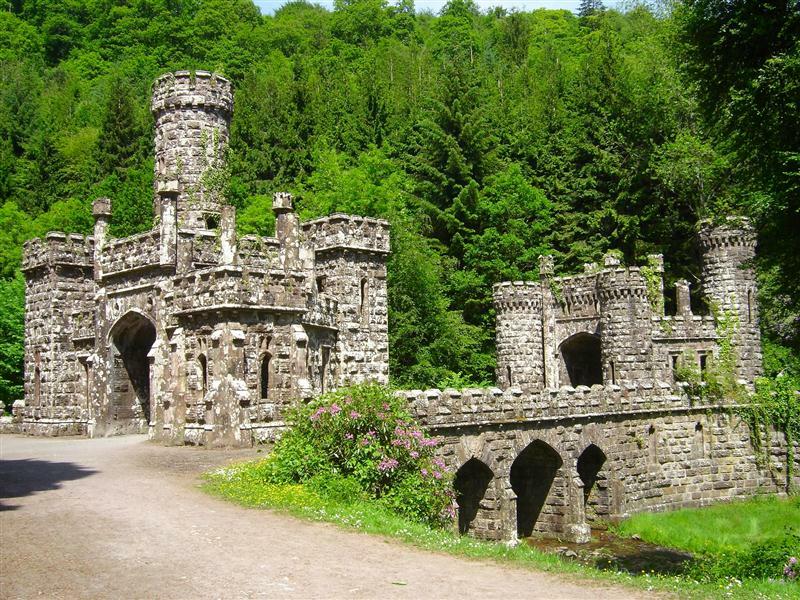 Towers of Ballysaggartmore, West of Lismore, is a magical site with a beautiful woodland walk, suitable for family excursions. The gates of grandeur and the entrance gate were built before they ran out of money. 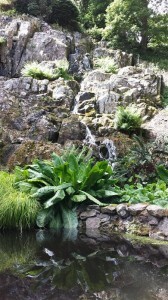 If you visit make sure you search for the Waterfall. Mt. Mellary is an impressive monastery in a beautiful setting on the Vee drive. Sean Kelly, a cyclist from Rathgormack, County Waterford, is ranked in the top 10 cyclists of all time. He is in good company with other famous Waterford sports people such as Percy Kirwan, John Treacy, Jim Beglin, Paddy Coad, Alfie Hale, John O’Shea, John Keane and Philly Grimes. 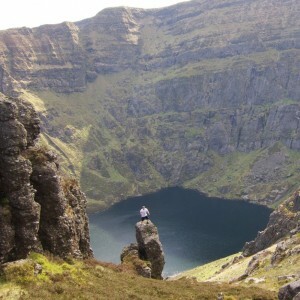 Coumshingaun, a corrie lake in the Comeragh mountains, is said to be the finest glacial lake in Europe. Many international businesses started in Waterford, including Ryan Air, Jacobs biscuits and Grubb telescopes. Luke Wadding, a Friar from Greyfriars of Waterford, set up St. Patrick’s day. This entry was posted in Beautiful Waterford on February 10, 2014 by Cian Foley. 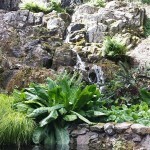 I spent a wonderful 2 hours today with my wife Nicola in what I’ve coined ‘The Garden of KilmEDEN’ i.e. 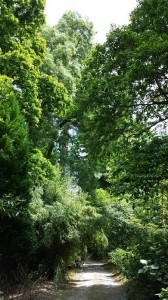 Mount Congreve, Old Kilmeaden Road on the outskirts of Waterford city. 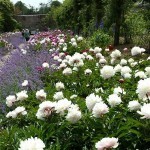 This garden was carefully maintained under by Ambrose Congreve, who died at the ripe old age of 104 back in May 2011. God bless him for the legacy, nay gift, he has left behind for the people of Waterford and Ireland as he bequeath the state this wonderful sanctuary in his will. 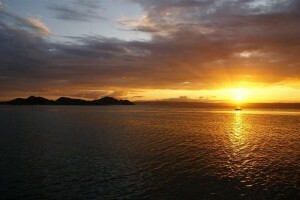 Let us hope that it remains the paradise it is long into the future. 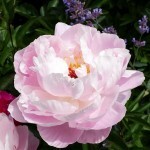 The gardens have been labelled as ‘the greatest garden in the world’ by the Horticultural Society of Massachusetts and won countless awards and accolates worldwide over the years. 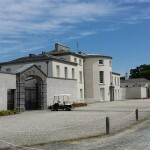 The Mount Congreve estate is located between Waterford city and the village of Kilmeadan and lies on approximately seventy acres of woods and gardens including a 4 acre walled garden. It runs alongside the suir valley, which has a little train service for tourists that wish to experience the beauty of the area. Wouldn’t it be fantastic to have Mt. Congreve as a stop on the Suir Valley Railway. 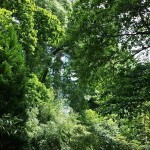 There are around 16 miles of paths so even with a full day you would not have enough time to explore the garden fully in one visit. 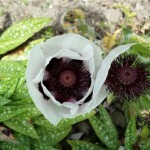 In our short lunch we went through the walled garden, which contains thousands of the most healthy flowers you are ever likely to see or smell. Then we took a path alongside the river through trees and rhodedendrons, which were just out of bloom. 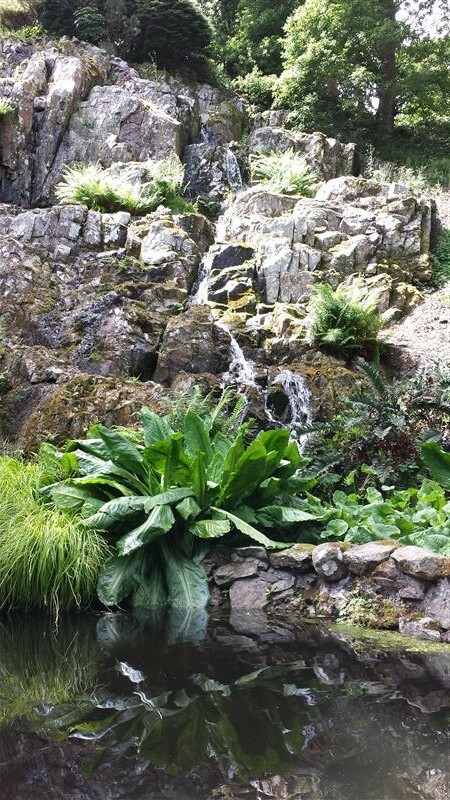 We walked to the old estate, which is in fabulous condition and then on to the beautiful little waterfall. We stopped for a little packed lunch and then went back to the courtyard where there were some plants and snacks and coffees for sale. It was great to see the huge interest in the gardens at lunch time today and I hope that it will open 7 days a week soon and the buses start flowing to experience this floral wonder of the world. Thank you Ambrose from all the people of Waterford and Ireland once again. May you rest in peace your work has been outstanding. This entry was posted in Beautiful Waterford, Nothing much ado about Websites on June 21, 2013 by Cian Foley. 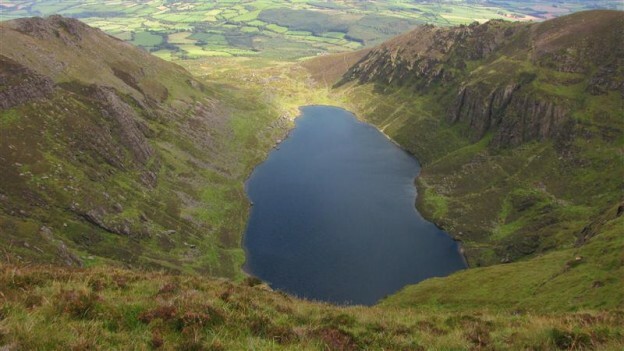 So you’ve heard about Coumshingaun, the jewel of the Comeraghs, the glacial lake said to be one of the finest examples of a corrie lake (coum in gaelic) in Western Europe. There are nine lakes or coums to explore in the Comeragh mountains, all beautiful but none compare to the majesty of Coumshingaun. For the uninitiated it can be a bit tricky to find so this blog entry is for those who are visiting the lake for the first time. Bring a comfortable pair of boots with a good grip on them (in slippery wet weather especially). It’s also a good idea to bring walking sticks of some sort for the way down in slippy conditions or if you have knees prone to pain. Bring layers of clothing as the weather can change rapidly. Bring wet gear. It’s Ireland. Bring a light picnic too if you can to enjoy at the lake. If feeling very brave bring togs… it’s rarely ever warm, I scream like Tarzan everytime I hop in. Bring a camera/phone and make sure it’s charged, you will kick yourself otherwise. Most importantly, leave nothing behind except maybe your footprints. Allow about 3-4 hours for round trip if travelling from Waterford. To get there from Cork or Waterford take the turn for Mahon Falls on the N25, if coming from Waterford it’s a right turn a little past Kilmacthomas, from Cork it is a left turn after Lemybrian. Once you get to mahon bridge, take a right and head down that road for about 3 miles, you are looking for a left turn into a parking area at Kilclooney woods. See map below for directions from the N25. Once parked up at Kilclooney woods walk through the forest up until you reach a flat gravel path. Take the path right towards another small wooded section. 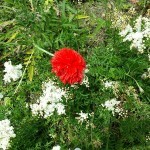 You will pass a fake tree with phone transceivers on it within a green fenced area. Pass this off (it will be on your left) and go through the forest until you get to a fence with steps over it. You are now at the foot of the mountain. Head up the hill towards a rock that looks like a mouse or a frog (I have arguments with my kids over this pretty much everytime we go up). Depending on your level of fitness this could take anywhere between 15 minutes to an hour (more advanced hikers can go up further towards the peak and perhaps do the full loop walk allow 5 hours for this). 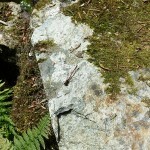 Once you get to the “frog rock,” the uphill walk is practically done. You will see the back cliff of the coum so walk towards this. You will see many worn paths up, take one that suits your fancy. If you take the right you will see a small pond, which contains frogs and tadpoles in April/May/June. 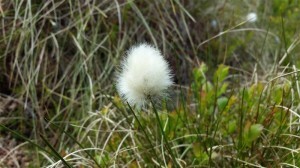 If you go this way you might also see a small field of bog cotton in June. If you take the left route you will travel over rocky ground with well kept grass, the sheep do such a great job it’s like a putting green in places. At this point you are almost there, keep heading up between the two side walls towards the back cliff and over the next crescent to see the lake. Get ready to be astounded as the lake is revealed. Take your time to explore the lake and the rock formations, flowers, fauna, wildlife (the sheep won’t bother you, but please keep dogs on a leash as during spring/early summer the sheep are lambing) etc. Remember to take care if swimming in the lake, it can be exceptionally cold even in june/july and is 60 metres deep at certain points. There are also legends of a giant serpent swimming in it and I have a video of it on youtube (search for coumshingaun USO if you don’t believe me LOL). Don’t say you weren’t warned (about the cold at least)!!! Finally, just do it and be astounded at what is at our fingertips here in Waterford. Get ready for one of the best days of your life. 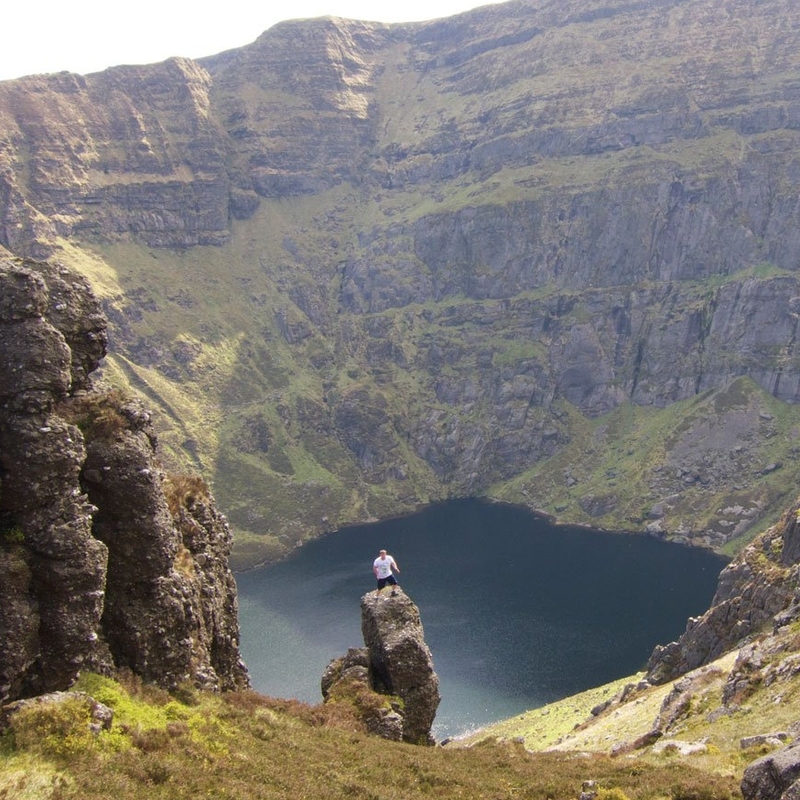 If you are interested in a guided walking tour of Coumshingaun to explore the wildlife, fauna and landscape, you might wish to get in contact one of our clients, Muddy Boots Guided Walking tours. Mario, is an expert guide and I’ve personally been on a few of his walks and they have always been very enjoyable and informative. Mario runs hikes in the Mountains of Waterford and surrounding areas in the South East of Ireland. This entry was posted in Beautiful Waterford, Nothing much ado about Websites on June 4, 2013 by Cian Foley. This is a change from my usual posts here, but I just wanted to share what it means to me to be from and live in Waterford. I have had several opportunities to leave Waterford for greener pastures on the work scene, but I would rather work for a fraction of the salary I could get in Dublin, London or further afield to stay and raise my family here. The Area: I love the area, I’m a few miles from Tramore beach where I can have a coffee looking out at the waves in the T-Bay surf club, or to Dooleys for a Cod and Chip and then a drive up to the Guillemenes to check out the view over the bay. 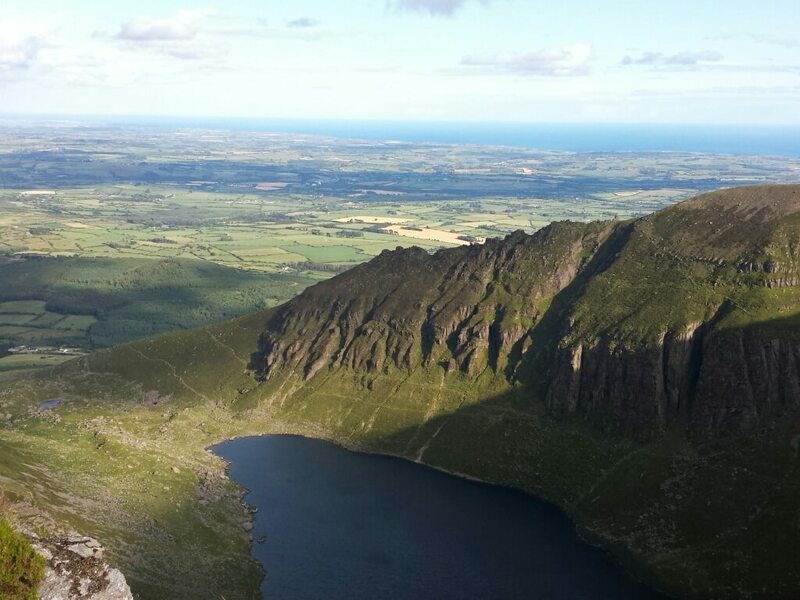 I’m 15 mins from the mountains and Coumshingaun, the most beautiful corrie lake you are likely to see in a lifetime. 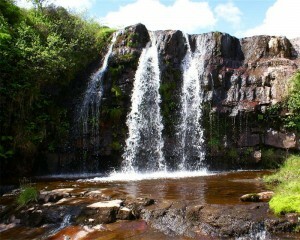 There’s forest walks, rivers, mountains, lakes, fantastic copper coastline and so much more to do and see in the area. Towns and Cities: I’m close to the City and not far from Dungarvan, which both have everything I need from shopping point of view or if I need to go to the flicks or whatever. And within driving distance to fantastic towns such as Dunmore East, Ardmore, Lismore, Stradbally to name just a few, each unique and beautiful. Food: There are some absolutely fantastic places to eat, both cheap and cheerful and for that special occasion. For all tastes. The farmers market on the quay, the bar food at Geoffs, Surf and Turf at the Spinnaker in Dunmore East. If you like Thai, there’s Sabai on the Mall, for Indian, there’s Cafe Goa, for French, la Bohemme and l’Atmosphere, for Italian there’s a number of choices in the city. You can also get traditional Irish food and Carvery in many of the hotels and the Holy Cross on the Cork road. Then of course, there’s the Blaa and Rasher, both invented in Waterford, a hearty Deise breakfast If you like fast food, there’s plenty to choose from e.g. Gino’s the best pizza you’ll get anywhere (get the special and their hazelnut ice cream is to die for), then there’s chippers where you can get a Waterford Scallop (just don’t eat too many or you’ll turn into a fat puddin). Great Place for Families: I have two children and it’s a great place for them to grow up. It’s safe, they people are friendly and have good morals, and there’s loads of community groups and clubs such as Scouts, Stage Schools, Sports Gyms and so on. The schools are well run and trouble free. There’s also loads of places to bring kids on picnics and to explore like ‘The Mossy Woods’, Ballyscanlon, Newtown Cove, and there’s loads of brilliant playgrounds around like Fenor in particular, Kilmeaden, Ballybeg etc. and there are fantastic skate parks in Tramore and The People’s Park. Sport & Activities: Waterford has a great sporting tradition with Soccer and GAA and we love our teams. We haven’t had huge success lately but we battle on for the county colours. Other than that people love keeping fit here, there’s great running clubs, cycling clubs, surfing, kettlebells, taekwondo, MMA, Tag Rugby, Boxing and so on. Something to cater for all tastes. History & Culture: We are a very proud culture, we love our history, our language our art. There are 3 museums in the city in the Viking Triangle which has 1000 years of history in 1000 steps. 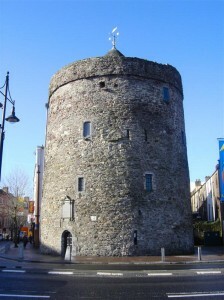 Waterford is the oldest city in Ireland and will celebrate it’s 1100th Birthday in 2014. We have had some very famous children too such as Luke Wadding, who set up St. Patrick’s day as a festival, Thomas Francis Meagher, who came up with the tricolour flag, Edmund Rice (from Kilkenny) set up Mount Sion School here and started the Christian Brothers. The Theatre Royal is the main theatre in the city, and there’s Garter lane, which cater’s for a wide range of art. 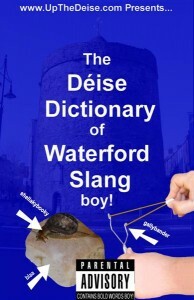 Language: We have our own slang here, I’ve written the book on it ‘The Deise Dictionary of Waterford Slang’ and we have bizarre names for things e.g A snail is a shellakybooky, a catapult is a gallybander… If you’re the tough sort and are looking for a drink in a bar order a Large Bottle off the Shelf. That’s how real men drink Guinness! Bars: Some good ones have been lost due to the recession, but we still have loads of great pubs including old pubs like Downses and T&Hs, then there’s the trendy Geoffs Bar and the Kazbar which leads you into the Nightclub area. Festivals: We have festivals all year round such as The 1848 Tricolour Celebration, Spraoi, Harvest Festival, Winterval and many others. There’s the Dungarvan Food Festival and the Lismore Book Festival also to name but a few. Community: Waterford has a fantastic supportive business community, we all take an interest in each other and recognise the fact that supporting your own means supporing yourself as the money stays within the local economy. There’s a great community on facebook and it’s very supportive and welcoming. Without this community I would not be able to make a living here and for that I’m really appreciative. In conclusion, Waterford is a great place to work, live and play, and the ideal place to raise a family. If you’re from Waterford you already know all of this, if you’re not, why not come visit us. 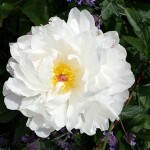 If you are looking for stuff to do give me a shout and I’ll be delighted to help you out. 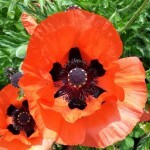 This entry was posted in Beautiful Waterford, Nothing much ado about Websites on April 9, 2013 by Cian Foley.